The Legacy Way brings clarity and predictability to your entire construction experience. You will be working with the same team from design and planning through the completion of your project. You will enjoy the process and your new living space. 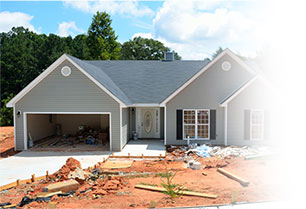 During this stage of work we strive to determine exactly what you want from your new home project and build trust and a level of comfort while getting to know one another. Communication is paramount in this first stage. Our designers want to know what you want from your new space, what you don’t want, and what your dream addition, remodel, renovation or new home would include. We will discuss the feasibility of the project and possible design solutions. A successful project starts with great planning, which is why we discuss these specific details with our clients before we hash out the details and design. The purpose of the concept stage is to help define the scope of work for your project. During this stage we will review potential design ideas. We will use a variety of techniques; sketches, pictures, produced building plans, and completed project profiles to begin to bring your dream project to life. We will generate preliminary specifications with an expected budget range for your kitchen, bath, addition, renovation or new home. A design-build agreement will be presented and will be the next step to moving to the design stage. Our overall objective is to provide you with the necessary information to assist you in making a great decision for you and your family. The design stage is where creativity and ingenuity are put to great use. Our architect and design team will review the concept and will schedule a site visit. Preliminary floor plans and elevations will be created and will be presented to you for analysis. We will review the pros and cons of the current design and work toward a final design and construction drawings. During this stage a guided selection process will begin and you will select the various products to be installed. Once we have completed drawings we will conduct a trade walk-through on site to gather and document all the particular details involved in executing the design. A fixed priced contract to build with detail project specifications will be created and presented. The contract to build will be signed and the excitement of the construction stage will begin. 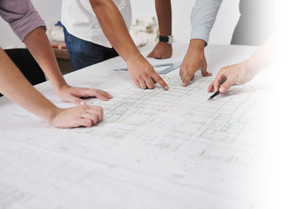 The construction stage is where the strategic planning and design all come together. We will begin by securing all the necessary zoning and building permits. A project schedule will be created and presented to the owner and will be viewable on our online project management system. Our production manager will schedule a pre-construction meeting with you to talk about the dynamics of working in your home or on your site. The home and or site will be prepared for the work to begin and construction will commence. There will be project walk-throughs conducted with you at various times throughout the project and a project close out meeting. The Legacy Way will provide you with piece of mind and a new living space that you can enjoy for years to come.